Looking to flip a home for a profit? Doing so may be lucrative, but be sure to cover yourself by following some simple points of advice. Before you flip a home, be sure you have prepared yourself thoroughly. A good place to start is making sure you have the proper frame of mind. While flipping may frequently be portrayed as easy, this depiction is often far from the truth, Heather Levin wrote in a recent MoneyCrashers piece. In the article, Levin told a tale of how one of her friends became a real estate agent and got into renovation. By purchasing her first home and then flipping it, the young woman made a tidy profit. Later on, she landed a spot on a television show about flipping homes. Since she was a member of a team that was involved with such transactions, the young woman appeared on several episodes. When asked by Levin whether flipping homes was as easy as it appeared on television, the real estate agent indicated there was a significant difference. She emphasized that it requires knowledge, risk and lots of hard work. Once you have the right frame of mind, keep in mind that you have just begun your journey toward successful flipping. Before you do anything else, making sure you have the needed capital is crucial. While many real estate professionals are looking to buy a property at a discount and then sell it for more, keep in mind that the discounted amount can still be substantial. 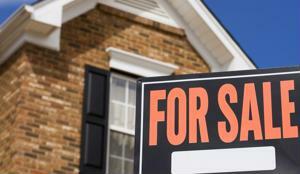 If you want to buy a home, be sure you have the money needed not only for the purchase, but also repairs and taxes. In addition, include a cushion of excess funds in case your renovation plans go over-budget. Selecting the right property is crucial to pulling off a successful flip. While this step may sound simple enough, you can never be too well-educated on the market. Before you invest thousands, be sure you have updated information. One way to access the latest data on the real estate market is using CRS Data, which provides comprehensive mortgage records, warranty deeds and additional information on any property. To obtain more information about CRS Data Real Estate Suite, click here. Once you have found a property that presents strong opportunity, make an offer. Before taking this step, be sure you know the maximum amount you can pay for the house and still make a worthwhile profit, Levin wrote. Be sure to include repairs, taxes and interest in this figure, she reminded. Adding a cushion of 20 percent can also be very helpful. If the seller is not willing to part with their property at an acceptable price, be prepared to move on. Once you have acquired the desired property, be sure to conduct an inventory to determine where contractors will be needed, Levin wrote. Permits are a necessity, and applying for them in a timely fashion is crucial. Construct a schedule for when you want to be finished with repairs, and you could be on your way to generating an appealing profit.